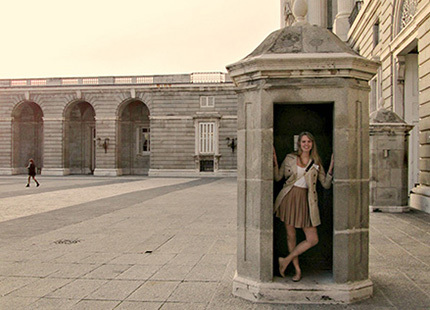 Located in the geographical and political center of Spain, this co-sponsored semester program includes an internship. Students also take center-based courses in the humanities and social sciences with other U.S.-based students taught by IES Abroad faculty. Madrid is known for its museums, outdoor cafés, tapas, and green spaces. Course Equivalencies: Please see the Madrid-IES course equivalency list for program enrollment requirements and a list of IU course equivalencies that students have received in the past. Single or shared placements in Spanish homes. Limited number of shared apartments. Limited number of residence hall (Colegios Mayores) placements throughout the city; additional fees apply. *Program fee reflects discounted fee for IU students after benefit of the $2,000 IES Public University Grant. Airfare, personal expenses and vacation travel additional.Initial prepayment of $500 due October 8, 2018.